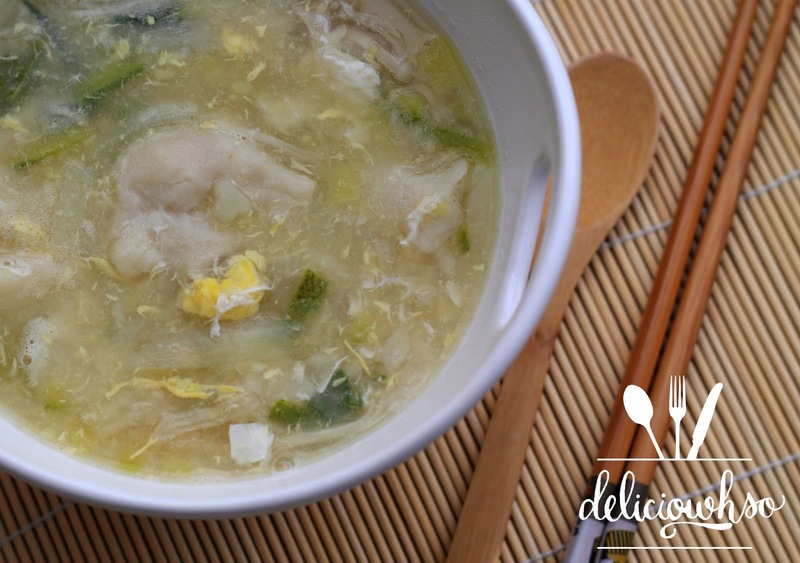 Sujebi is similar to a Korean dumpling soup. A dough is made then pulled into sheets and torn to make "noodles". 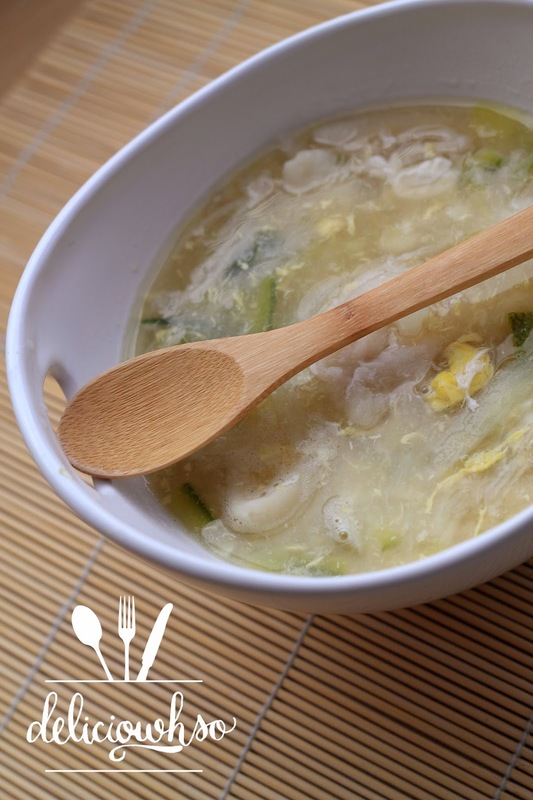 The soup is hearty and delicious, with potato, zucchini, egg, and mushrooms. It's a perfect way to warm up this winter! 1. In a bowl, bring flour, 1 cup of water, oil, and 1 tsp of salt together. Knead well with your hands until it forms a uniform dough ball. 2. Wrap the dough and place into the fridge. 3. In a large pot, boil water, dashima, garlic powder, salt, sesame oil, and soy sauce on medium-low heat. 4. While the water heats up, peel and julienne potatoes. 5. Add the potatoes, and then julienne the zucchini and onion. Mince the garlic cloves, and add the zucchini, onion, and garlic to the pot when the potatoes are cooked about halfway. They will still be firm in the center. 6. Allow the zucchini and onion to cook about halfway. Then, add the eggs. As soon as you add the egg, you want to stir them into the soup, so that they are evenly dispersed. 7. Clean the ends of the enoki mushroom, and then add them to the stew. 8. Take the dough from the fridge and cut it into quarters. Gently pull the dough into a very thin sheet, and then tear it and put it into the stew. 9. Repeat with each quarter, then cover the pot and cook for about 3-5 minutes. 10. Slice the green onion and stir into the soup. This soup is perfect for anyone feeling under the weather, and is not a difficult process to make! Make this traditional Korean stew and share it with your friends! They'll be sure to thank you for the filling, hearty, and delicious soup!